The world’s most overengineered TV-B-Gone « Adafruit Industries – Makers, hackers, artists, designers and engineers! Compared to the original device or the kit, it really offers no functional advantages other than maybe a smaller size or the charging feature. And it cost a lot more to make and is more complicated than it really needs to be. Had a bunch of fun designing/building it though. LTC4054L lithium battery charger IC, with a mini-USB connector provided for battery charging. Eight VLSB3940 IR LEDs in series. These are 3mm, have a 20 degree viewing angle and have the best radiant intensity I could find in a 3mm LED. 2-transistor constant current source pulling down the cathode end of the string. Currently set for 100mA. Circuit can handle 200mA operation. 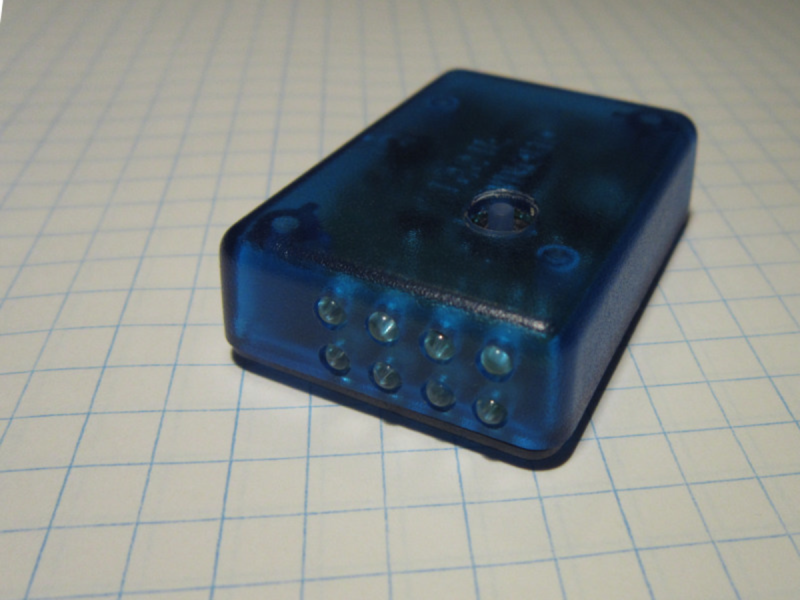 Two bicolor status LEDs, showing microcontroller and charging status. I’m using variable length coding to store IR codes, which is slightly more efficient than the current TV-B-Gone method. On/off timing is done with timers instead of delay functions. Even when it’s outputting codes, the CPU spends most of its time in idle sleep mode. CPU typically runs at 4MHz, and briefly switches to 8MHz when decoding an IR code. BOD disable sleep is used when idle, standby current is less than 1uA, well below the battery self discharge. 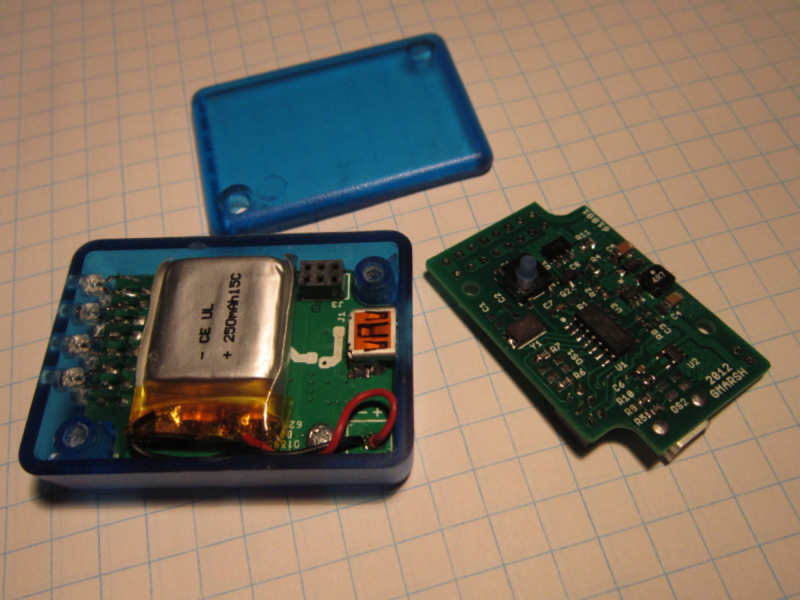 BOD is normally enabled at 2.7V for low battery protection. There’s a few different modes of operation. Classic TV-B-Gone mode, a “repeat the last several codes sent before you hit stop” mode, and an IR torch mode which just turns the IR LEDs on – put in there for testing, never taken out, and entirely useless. TV turn off codes were stolen from the TV-B-Gone kit firmware – I turned the AVR code into a command line program that dumps a stream of on/off pairs into a file, and wrote a quick C program that converts these codes to the variable length code. I’ll release the Eagle files and software soon, I have to clean them up and figure out a good online place to poke them for sharing.